A famous blogger once wrote an article about her husband who was supposed to buy some lettuce at the grocery store but came home with a cabbage head instead. Frustrated and amused at the same time, she ended up going back to the grocery store herself to get the right vegetable! Has that happened to you? If you are just as confused as the husband in the story, this article is for you. 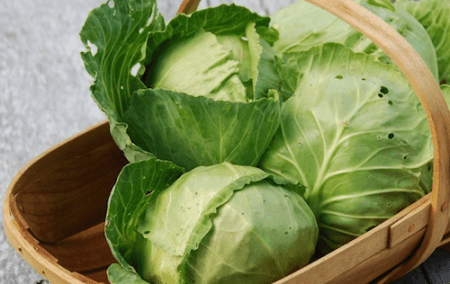 Cabbage is a small-stemmed plant with a leafy head. It can be green, red, or purple. The surface of its juicy leaves is hairless and waxy. It is a member of the genus Brassica and is somewhat related to other cruciferous plants like broccoli and cauliflower. The tough outer leaves of the cabbage head are often discarded, leaving the soft inner leaves that usually form a ball. Cabbage is a versatile vegetable. It is eaten across the globe and can be prepared using various cooking methods. It can be eaten fresh (as a side dish or coleslaw), pickled, stewed, steamed, sauteed, or boiled. It is famous for its powerful odor and taste, which is due to the production of hydrogen sulfide upon its contact with heat. Cabbage, like other vegetables, is packed with vitamins and minerals. Vitamin C, vitamin K, vitamin B6, magnesium, iron, calcium, and folate are abundant in cabbage leaves. Cabbage also has a minimal amount of cholesterol and saturated fat. Because of its nutritional profile, cabbage is used as a herbal supplement by some people. It is available in juice, capsule, tablet, and tincture form. Lettuce, scientifically known as Lactuca sativa, is a short-stemmed leafy vegetable that belongs to the genus Lactuca. When cut, its leaves release a white fluid which is actually sap, hence its name Lactuca – a Latin term for “milk.” The crunchy leaves wrap around each other, and they can be rich green or deep red. Lettuce is typically eaten uncooked because of its sweet taste with notes of bitterness. It is the primary ingredient in green salads and is also used in sandwiches and wraps. Some types of lettuce, however, are used in soups. 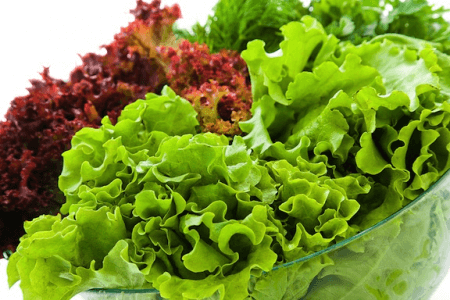 Lettuce is rich in vitamin K, vitamin A, folate, and iron. What, then, is the difference between cabbage and lettuce? Both are short-stemmed, leafy vegetables, and both can be green or red. Cabbage belongs to the genus Brassica, whereas lettuce belongs to the genus Lactuca. Cabbage can be grown in cold areas, whereas lettuce thrives in a warmer area under the shade. When it comes to the texture and taste, cabbage leaves are noticeably tougher and thicker than lettuce leaves. Cabbage leaves have a strong odor and taste, while lettuce leaves are odorless, and can be both bitter and sweet. Additionally, cabbage is more versatile than lettuce. It can be eaten raw, stewed, sauteed, boiled, or braised. On the other hand, lettuce is usually eaten raw in salads, sandwiches, and wraps.